THE HISTORY OF RATSEY AND LAPTHORN IS SYNONYMOUS WITH THAT OF THE AMERICAS CUP. First competed for in 1851 and one of the oldest sporting trophies in the world. Through their sail lofts in both Cowes and New York, Ratsey’s made sails for both teams. Family members competed as part of the competing crews for over 100 years. Originally named the Hundred Guineas Cup, the first contest took place in Cowes with a challenge from the Royal Yacht Squadron to the New York Yacht Club (NYYC). The NYYC won the race with the schooner named “America”. 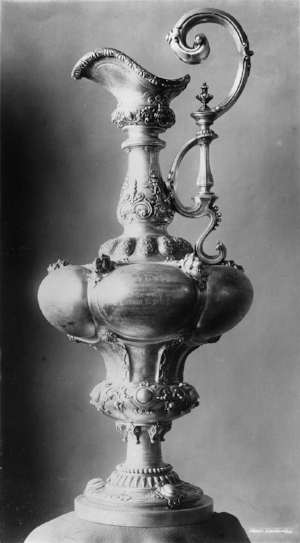 The trophy was thus renamed the ‘America’s Cup’ and was donated to the NYYC. Under the terms of the ‘Deed of Gift’ this made the cup available for perpetual international competition. The New York Loft was originally conceived to enable U.S Americas Cup Boats to legitimately fly Ratsey and Lapthorn Sails, otherwise prohibited under the Deed of Gift. Perhaps the most illustrious Ratsey connected to the America’s Cup was Thomas W Ratsey (1851-1935). In 2009 he was posthumously inducted into the America’s Cup Hall of Fame at a ceremony hosted by the New York Yacht Club. Thomas Ratsey’s career spans the classic era of the America's Cup. His entry into the family business at 15 heralded one of the most important contributions to America's Cup sailmaking made by a single individual. He was directly involved in seven challenges and the firm he controlled supplied sails for 10 challengers and four defenders during his lifetime. After his first involvement crewing on Livonia at age 20, Thomas Ratsey was then personally responsible for the sails of every challenger until Shamrock IV. His continuous involvement with the Cup began with the Thistle challenge of 1887 when his close friend, G. L. Watson, involved him in his designs at an early stage; his presence in New York during that challenge laid the foundations of many lifelong friendships and Ratsey & Lapthorn's US expansion. Ratsey's attended the 1895, 1899 and 1901 Cup races, on all these occasions he took home significant orders from American yachtsmen who recognized his unique talent. By 1901 many of these were lobbying him to establish a loft in the US. This he then did within Robert Jacob’s City Island boatyard in 1902. What resistance there was to the English invasion, was effectively overcome with his firm's production of a near perfect mainsail for Cornelius Vanderbilt's New York 70, Rainbow.